Contact CU Independent News Staff Writer Charlotte Bowditch at charlotte.bowditch@colorado.edu. In the University of Colorado’s Wittemeyer Courtroom on Tuesday night, allegations flew back and forth between the Revolution ticket and Ally and Ignite tickets regarding the recent student government elections. The Revolution ticket was charged with infractions such as bribery and under-reporting funds for disputed actions before and during the election. 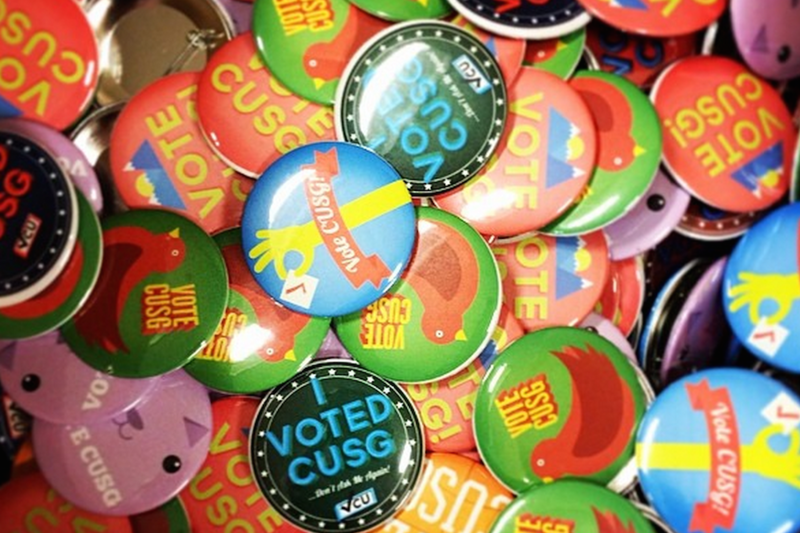 On Thursday, it was announced that the CUSG Appellate Court found two of Revolution’s presidents-elect, Colton Lyons and Marcus Fotenos, guilty of 13 infractions each, and thus disqualified them from the election and their seats. Ten infractions or above amount to grounds for disqualification. The case came to the court after the CU Student Government (CUSG) Election Commission panel charged Revolution’s ticket as a whole on 25 infraction points — in other words, 25 violations of the election code — earlier this month, but the appellate court did not uphold the infractions against the entire party ticket. The Revolution party would have had control of next year’s CUSG executive branch if its ticket was cleared of the allegations because its candidates won each tri-executive position, as well as all four of the representative seats that were up for election (there were five seats not up for election this semester, nine seats in total) earlier this month. The allegations in question on Tuesday mostly occurred during events revolving around Greek life, such as Greek Week and Relay for Life. During Greek Week, members of the Revolution party allegedly delivered consumables such as cookie cakes, pizzas and flowers to certain sororities and fraternities, despite rules that campaign funds are not allowed to be used for public consumables. There were also allegations that during a Relay for Life event, Revolution moved campaigning tables to an area with higher student traffic, possibly violating election code regulations for tabling in doing so. But professional attorney Ryan Call, the legal counsel for Revolution, claimed the party had not violated any aspects of the election codes and he defended distribution of consumables at the hearing. Call continued to defend the party’s actions regarding possible tabling infractions by explaining that the election code is only relevant during elections, which means the code can only be enforced during the four days during which the elections actually occur. One of the court’s justices countered that it is implied that the code can be enforced leading up to elections as well. This dispute could lead to the possible alteration of the language of the code going forward. After the Revolution Party gave its testimony, Bridger Ruyle of the Ignite party and Austin Rugh of the Ally party represented their respective parties to discuss the fairness of the election. “It is impossible to say who would have won the election if these actions hadn’t taken place,” Rugh said. He also brought up an email that was sent by the campaign manager of Revolution, Marilyn Alexander, in which she falsely claimed to be chief of staff of CUSG, which she later admitted was a mistake. “Student government controls a 24 million dollar budget, and obviously chief of staff is a very prestigious position with a lot of connections,” Rugh said. Rugh and Ruyle argued that this is evidence of bribery, since it appeared as if Revolution may have promised her this position in return for her vote. The chief of staff position is not selected until fall, according to the representatives. Ultimately, though, the court did not find Revolution guilty of infractions based on bribery with employment positions. The Ally and Ignite representatives also explained that the Election Commission panel found in the first hearing that Alexander was also the person who delivered the consumables to the Greek houses. “We see that Ms. Alexander was the perpetrator of a lot of these infractions, showing that she would go to any extreme to win the election,” they said. But when a justice asked if Ally or Ignite had any evidence such as an email linking Alexander to the alteration of votes before the polls closed, the representatives said they did not have any such evidence. The justices then asked the representatives of each party what their relationships were with the previous infraction panel members, including Erin Pettis, a representative of Arts and Sciences Student Government. Representatives said they had no relationship with infraction panel members, and are only aware of them through previous CUSG election activity, except for Alexander. “Erin Pettis is in my sorority, but I can safely say I am not close with [her] at all,” Alexander said. Based on the election results before today’s court ruling, Revolution had swept the elections with the tri-executives Madalena DeAndrea, Marcus Fotenos and Colton Lyons of Revolution winning the preliminary election with 2,253 votes, or 45 percent; Fotenos and Lyons are disqualified For the CUSG representative seats, the winning Revolution candidates were Alec Havey with 2,077 votes, Gail Hall with 2,053 votes, Joshua Cunningham with 2,034 votes and Harrison Leeds with 1,920 votes. Those seats will not be affected by this ruling, as the court did not uphold the panel’s ruling of infractions against Revolution’s ticket as a whole. The consensus of the hearing is to change the language of the election codes to be clearer for all parties. This is not uncommon, and the policies are typically changed twice a year to remain up-to-date. The court’s opinion was released at noon on Thursday, and constitutes the first time in 110 years that CUSG candidates’ seats have been disqualified.